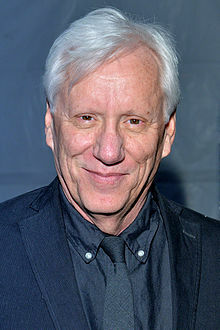 James Howard Woods (born Aprile 18, 1947) is an American actor an producer. He is eften kent for villainous roles, an appeared in a variety o films, includin The Onion Field (1979), Videodrome (1983), Once Upon a Time in America (1984), Best Seller (1987), Chaplin (1992), Casino (1995), Nixon (1995), Hercules (1997), Vampires (1998), Straw Dogs (2011) an White House Down (2013). On televeesion, he is kent for portrayin the teetular protagonist o Shark (2006–2008). This page wis last eeditit on 5 Apryle 2017, at 00:22.